DUBLIN Ireland will pay several hundred former residents of Catholic-run Magdalene laundries at least 34.5 million euros ($45 million) to compensate them for their years of unpaid labor and public shame, the government announced Wednesday following a decade-long campaign by former residents of the workhouses. Justice Minister Alan Shatter apologized to the women - an estimated 770 survivors out of more than 10,000 who lived in the dozen facilities from the 1920s to 1996 - that it had taken so long for them to receive compensation. The move marked the latest step in a two-decade effort by Ireland to investigate and redress the human rights abuses in Catholic institutions. In remarks to former Magdalenes, some of them in the press-conference audience, Shatter said he hoped they would accept the government's compensation plans as "a sincere expression of the state's regret for failing you in the past, its recognition of your current needs, and its commitment to respecting your dignity and human rights as full, equal members of our nation." Shatter said the total cost of payments could reach 58 million euros ($75.5 million) if the maximum number of eligible women worldwide applies. The tax-free payments would range from 11,500 euros ($15,000), for women who spent less than three months working in a laundry, to up to 100,000 euros ($130,000) for those who spent 10 years or more there. Shatter said the women also would receive state-funded retirement pensions and free medical care at state-funded facilities. 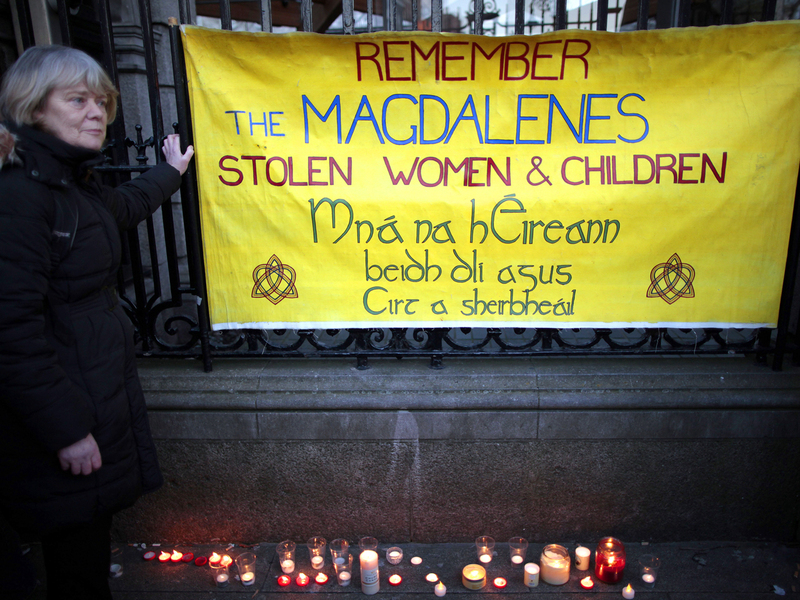 Activists representing the so-called "Maggies" had demanded justice and state compensation since 2002, when a previous government launched a compensation fund for people who had suffered abuse in Catholic-run orphanages and workhouses for children but declared former Magdalene residents ineligible - contending that the laundries were privately run institutions with negligible state involvement. The government since has paid more than 1 billion euros ($1.3 billion) to more than 13,000 people who suffered sexual, physical and psychological abuse in the children's residences. A government-commissioned investigation in February found that the state was legally responsible for overseeing the laundries, too, and Prime Minister Enda Kenny offered an official apology. In 1999, "60 Minutes" correspondent Steve Kroft reported on revelations that shocked the Irish people, embarrassed the Catholic Church and tarnished the country's image. "The women had been virtual prisoners," Kroft reported. "Confined behind convent walls for perceived sins of the flesh, condemned to a life of servitude."